Were you here for the TNT Drama Claws that premiered early summer? If you know how much I stan for Niecy Nash, you already know I just HAD to check it out. And through my tuning in each week for lots of laughs, shocks, and clutching of my proverbial pearls, I was introduced to some colorful characters. 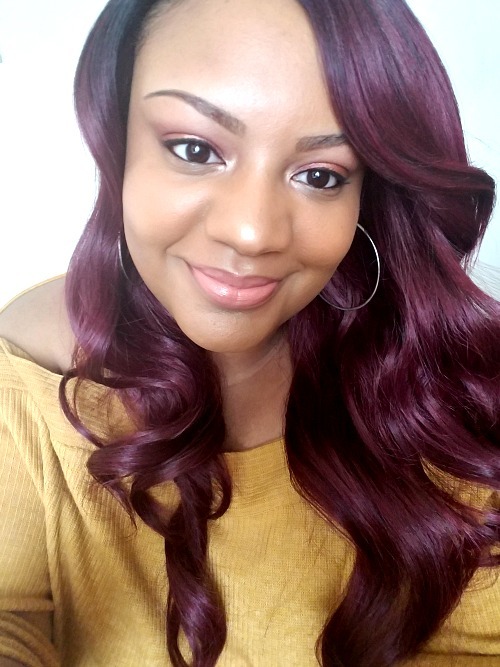 While it was evident that I would be mesmerized by Niecy Nash's stylish, "around-the-way-girl" character Desna, I was also intrigued by Karrueche Tran's character Virginia. Homegirl was a door-knocker rocking, booty-shorts styling, working-at-the-pyramid-tonight-type hot mama who didn't know a thing about doing nails, honey. How she ended up working at a nail salon was beyond me, but I still continued to watch her screw up nails (among other things) each week. And as you can tell from my description of the show so far, Claws definitely grew on me. So much so, that I was sad to see the season coming to an end a few short weeks ago. However, I was excited to see that Karrueche would be debuting a new lippie from her ColourPop collaboration bearing her beloved character's name. Once I saw that bright red violet lippie come across my phone screen, I just knew I had to have it. Are you guys as excited about the fall as I am? Things finally start cooling down here in the south and nature truly begins to show her true colors. Not only do I look forward to the harvest months, I get all geeked about festivals, fairs, and community events around my way. And even if you're not a fan of enjoying the good outdoors, fall is still the perfect season to wrap up in your favorite blanket, grab your beloved warm beverages, and get lost in a good read. What's not to love about the approaching season? 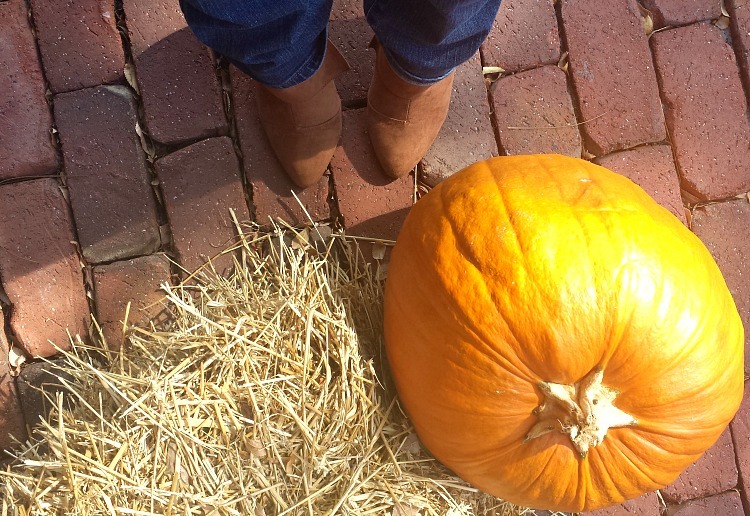 As I prepared to write upcoming posts about beauty, fall reading, and upcoming events, I thought it would be cool to join the masses and add a list of the things I'm most looking forward to this season. Read after the jump to check out the 13 things I'm getting hype about. Hey ladies, have you ever fell in love with a lipstick at first swipe? Can you recall the sudden rush you felt when you puckered your lips to apply that smooth, creamy color and it showed up a little something like perfection? Like the color and finish were made specially for your lips? Well ladies, that's how I felt a couple of weeks ago when I received ColourPop Lippie Stix in "Glam Bag" through my monthly Ipsy subscription. If you are unfamiliar with Ipsy, it's a subscription service that allows you to try the latest beauty products each month for $10. And while I enjoy the products I've gotten in recent bags, I don't always receive items from brands I use in my daily beauty routine. 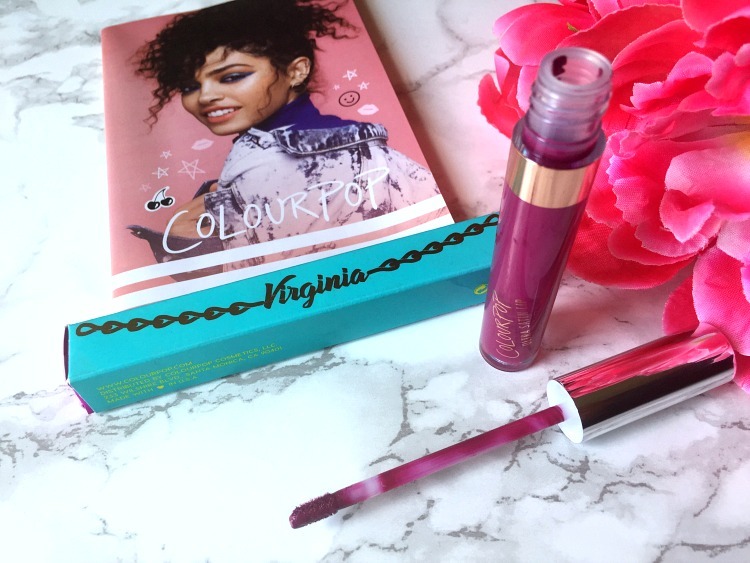 So receiving a ColourPop product in my bag was not only surprising, it also became the highlight of my Ipsy experience this month! Back in the spring, Ipsy collaborated with ColourPop Cosmetics to give subscribers exclusive products to be featured on the ColourPop.com website and future Ipsy Bags. 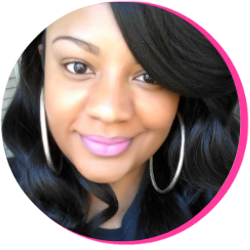 Subscribers voted for their favorite colors of Ultra Glossy Lips and Lippie Stix. 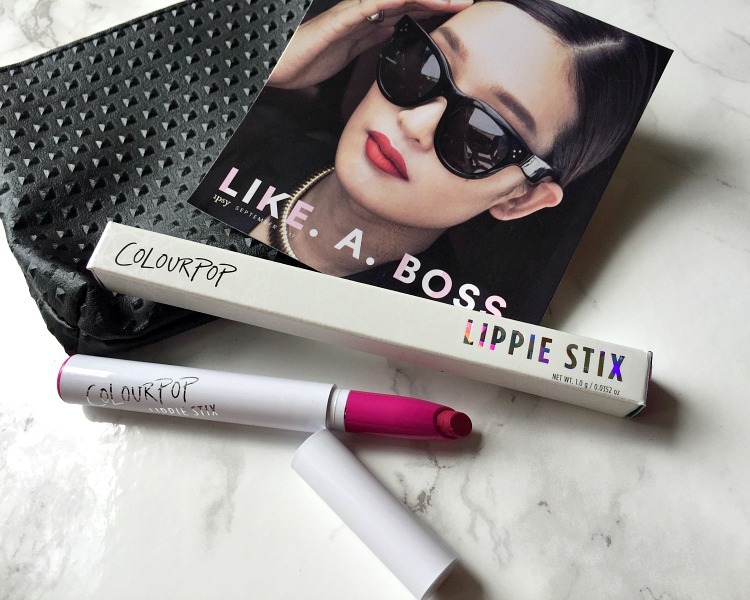 This month, Ipsy debuted the lippies, including one beautiful magenta lippie appropriately named "Glam Bag." So when I unzipped September's stylishly studded baggie and came across the ColourPop box, I was immediately hype! It was a matter of time before I put down everything else in my bag to go try this lippie on! And when I tell you it was LOVE at first swipe, I am so sincere. 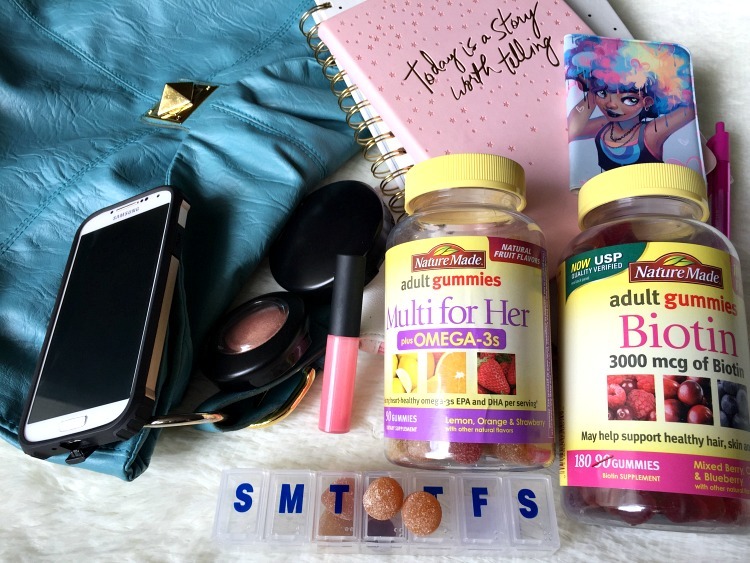 As a busy woman, how do you stay prepared for the day? With school back in session for my oldest two children, my husband and I do a lot of running around in the run of a day. Between running errands, meetings, sports activities, and keeping my toddler engaged in the daytime, I have to make sure I'm always prepared for anything the day may present to me. Lately, I'm learning that keeping my purse filled with essentials keeps things running smoothly. While we may remember to grab our keys, cell phones, gum, and maybe even our sunglasses, we often forget those small but necessary items that will keep us prepared for a full, action-packed day. Read below to find out how which items I keep tucked away in my bag to ensure that I stay prepared as a woman constantly on-the-go. I received a free copy of Real American: A Memoir in exchange for an honest review. All opinions are my own. When was the last time you looked deeply into yourself to ask, "What truly makes me who I am?" I believe we all, as we journey down our unique paths to self-discovery, ponder this question from time to time. Lately for me, this question ballooned into something larger than I expected, as it turned into a series of questions: Who am I, authentically and organically? Is this based on the family I was born into? Is it the way society perceives me? Is it what my parents have taught me to be? Or is it who I truly believe I have grown to be, through all of my life experiences? 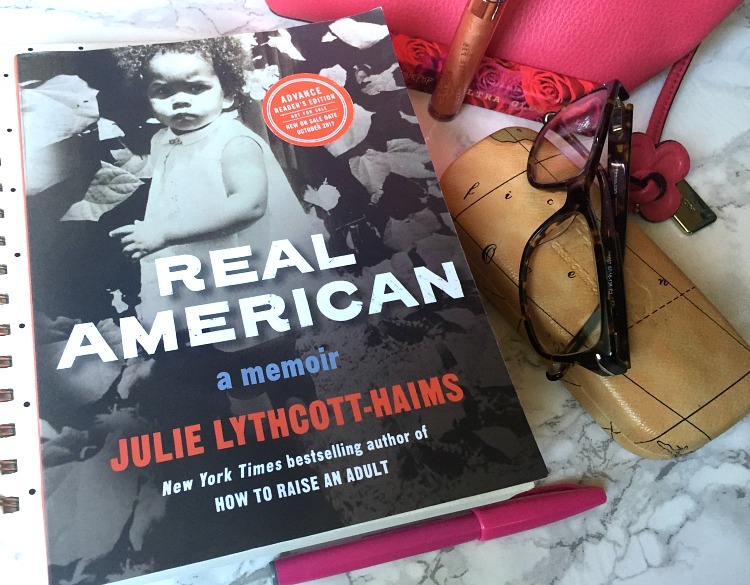 Being a black woman in America, this line of questioning plagued me as I delved into my advanced copy of Real American: A Memoir by best-selling author Julie Lythcott-Haims. Have you ever been told you couldn't do something you love because of who you are or the way you look? Do you know what it feels like to be denied or deprived of an opportunity because of something as simple as the style of your hair? These questions presented themselves when I recently read children's book I Just Kept Spinning by 18-year old Memphis native Destini Berry. 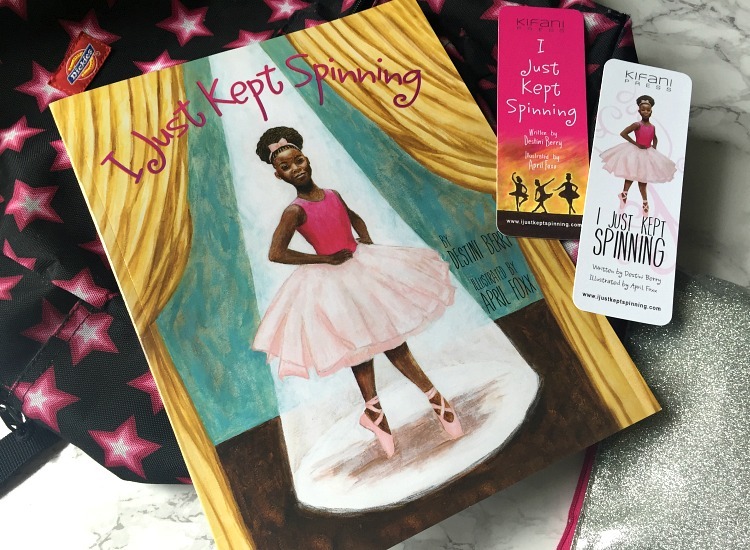 In I Just Kept Spinning, we meet 7-year-old Destini who wants nothing more than to be a ballerina. Inspired by the grace and beauty ballerinas express through dance, she begged her mother to let her take part in ballet. And while her mother finally allowed Destini to participate, her path to become a graceful ballerina was met with resistance. Just when Destini was growing excited about her new venture to become a dancer, her long dreadlocks seemed to have caused a problem for her. Would they get in the way of her goal of becoming a graceful ballerina?